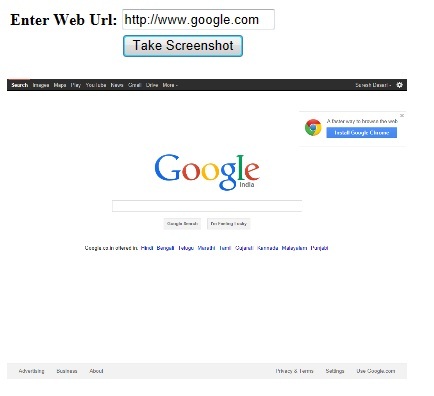 Here I will explain how to capture or take screenshot of web page in asp.net or how to get snapshot of website web page in asp.net using C# and VB.NET. 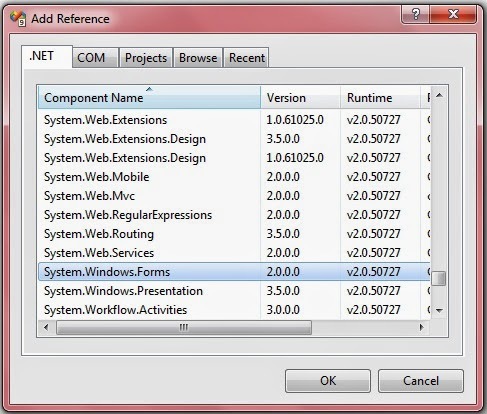 To capture screenshot or snapshot of web page in asp.net we need to use WebBrowser control in windows forms application. Sir can I store values of multiple rows of textboxes in MsAccess Database using single "Save " button with different id. can we capture screen shot without using thread? How can we capture screenshot with Forms Authentication? very helpful information .... thanks!! I tried to capture screen shot, Its working in my local machine but it doesn't work in live site, screenshot shows as "Navigation to the Web Page was cancelled"
It's is not working in web server, It's only work on local system. When i upload the local system it is not working. Hi It doesn't produce the content of given URL instead it just created a WHITE image having no content. Please revert, if I am missing something. Can we take full page screen shot or only the visible portion?